Watermelon and Milk - What About Watermelon? When you were younger you may remember your parents warning you about drinking milk after eating fruit. 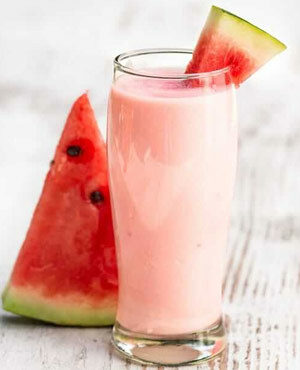 In this article we will uncover if consuming watermelon and milk together is potentially dangerous, or if many of us have been fooled by a wives tale. 2 What Will Happen if I Consume Watermelon and Milk Together? 3 Why is Milk and Watermelon Thought to be a Sickening Mix? 5 What Have Others Said About Milk and Watermelon? Milk and watermelon together may sound like an unusual mix but in fact they are not scientifically proven to be harmful. While consuming milk and watermelon within a close proximity of each other can potentially cause one to feel ill, there is no evidence to show that these food groups should not be enjoyed together. It is recommended that milk is not consumed with highly acidic fruits such as an orange. Milk tends to curdle when combined with highly acidic foods which in turn can make one sick. In saying this, watermelon is not an acidic fruit, with a large percentage of it being made up of pure water. You may notice that smoothies (the combination of milk and fruit) often contain fruits that are non acidic. For example, among the most popular, is the banana smoothie. 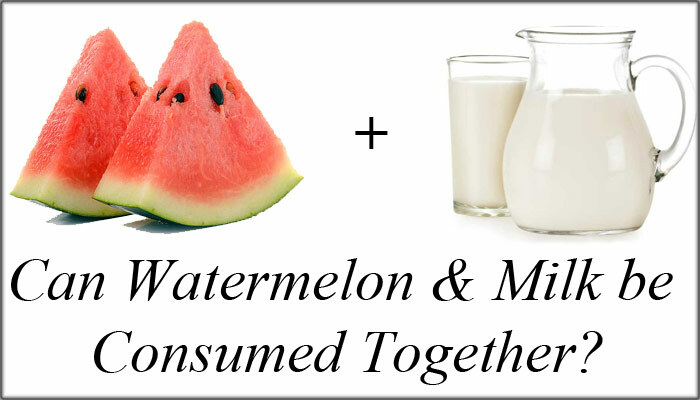 What Will Happen if I Consume Watermelon and Milk Together? Many watermelon enthusiasts warn others that eating watermelon before or shortly after a glass of milk is a deadly combination. Although not literally ‘deadly’ the combination of the two can cause one to have more gas than usual. Eating watermelon and drinking milk within a short period of each other can also cause stomach pains and cramping resulting in diarrhea. While this is not the case for everyone, with the majority of people able to consume both without any complications, it is recommended to avoid these food groups together. For those who like to adventure with different food groups, there are many watermelon smoothie recipes on the internet. Why is Milk and Watermelon Thought to be a Sickening Mix? Watermelon is a fruit rich in vitamins and simple sugars that are easily digested in the human body. Although watermelon is a not a highly acidic fruit, it does contain an amino acid called citrulline. Watermelon is popular among athletes as citrulline is thought to improve overall performance. Milk is a product rich in fats and protein. If one eats watermelon and drinks milk together, the acid in the watermelon can potentially bind the protein in the milk. The milk will then become curdled and in turn can ferment. This is what can cause one to feel sick shortly after consuming these food groups together. Milk is a concentrated liquid and requires proper digestion. Milk does not digest in the stomach meaning that other foods such as meat and fruit can combine with it and make an unpleasant mixture. Indigestion can occur when one consumes milk shortly before or after a meal. What Have Others Said About Milk and Watermelon? While the majority of people can eat watermelon and drink milk at the same sitting without feeling sick, others have quoted the following about their experience with milk and watermelon.